VUSE Ciro Original cartridges are refill cartridges for the VUSE Ciro Kit, and deliver the signature VUSE tobacco taste: classic Virginian tobacco flavor for a rich, smoky vape. VUSE Ciro cartridges contain 1.5% nicotine (15mg nicotine), giving you delicious smoothness with every inhale. Good price. Came very quickly. This product has helped me stop smoking cigarettes, so very happy with it for that reason. But after using it for a few months, I have some thoughts. I started out with the Vibe, which was awesome. Then it go "recalled". I am starting to think RJ Reynolds created the recall because the Vibe lasted too long (i.e. it took me longer to have to purchase new product). 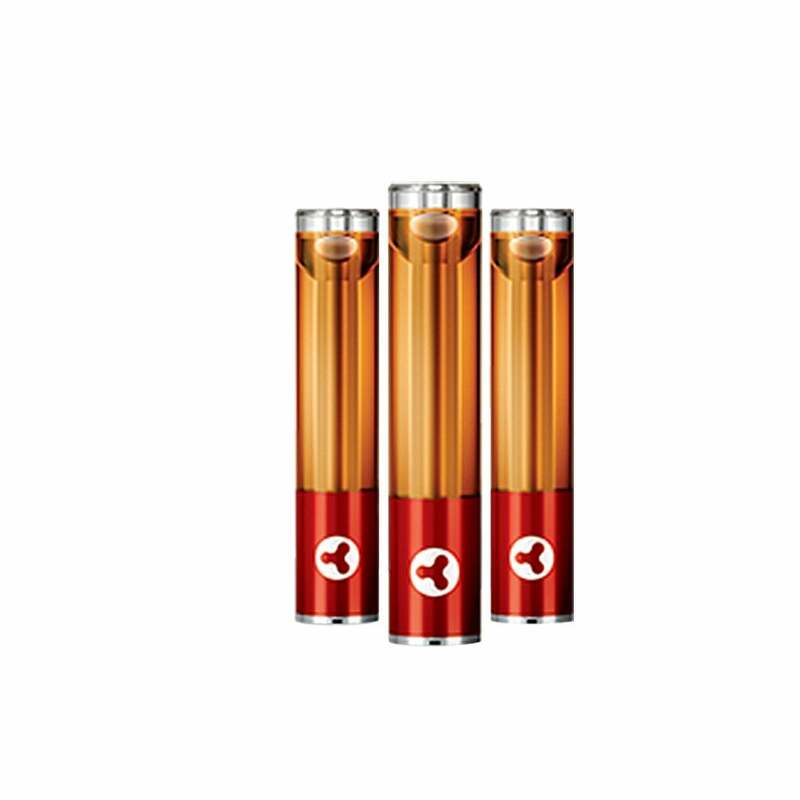 My Vibe never overheated (the reason given for the recall), but I have 4 Ciro batteries and they all get too hot at one time or another. Hmm. My Vibe cartridge lasted a couple of days at least, the battery too. I can clear a whole Ciro cartridge in a matter of 3-4 hours, depending on how much I am hitting it, and the battery often lasts less than a few hours. Hmm. I don't remember exactly how much the Vibe cartridges were, but I don't recall thinking they were expensive. The last couple of weeks my go-to retail spots for the Ciro cartridges have started trying to charge me $21 and change for a box of 3 (they were $17). Seriously? I also have an occasional issue with the cartridges leaking...in my mouth...yuck. The Ciro is super convenient and keeps me from smelling like cigarettes, but for the price I think I will need to find some other choices. Decent tasting product, wish the cartridge lasted longer for the price. Raising the price $5 in 1 day is unheard of!!!!!!!! I was at the store when the rep had just left, I didn’t believe it and thought she made a mistake so I went to another store and she had already been there too so I thought see was making a huge mistake all I’ve town but now I see it is true!!! Luckily I still got it for 8.99 cause the tag was still up. You are going to lose a lot of customers doing this but it’s a good thing for all of us that are just going to quit now!!! I’M DONE WON’T PAY THAT!! Thanks for helping stop cigs though after 41 years and thanks for raising the price now I won’t buy it! Why did the price go up so high? Not only are we still waiting on the vibe to come back we had to go to ciro they don’t last long at all & now you go up on your prices. Good time to quit or find something else !!! Compared to the Vuse Vibe this is a poor substitute , taste is not as good , battery does not last a full day . By far the best e-cig I've ever tried! Easy to use, lots of vape, feel that throat hit just like a real cig. Clear tube so you can see how much you have left. Love this product and really helps with the cravings for a real cig. A three pack of Ciro cartridges cost $8.99 at the local gas station. 18th August 2018 - Scott K.
Batteries don’t hold charge very well. Tanks empty quickly. Not at all happy with this product. Ciro is much more expensive to use. I would not recommend it. Even with the charge problems of the vibe I would still be using it. I was very pleased with the ciro filters. The service was fine and delivery promt. These Cairo’s are fine, but I miss the Vibes. Are they going to bring them back? I got Ciro after the recall of the Vuse Vibe and they just don't last. I can go through all 3 cartridges in about an hour. Not a fan! Junk. They leak into your mouth and often the cartridge is bad. The vuse ciro cartridges don’t last very long at all. At $5 a pop it’s too expensive. The Vibe was $5 a cartridge but they would last 2 days. It held more than twice the fluid as the ciro. . I have seen the ciro refills for $8.99 at a lot of gas stations. Either way they’re getting just the same amount of money from you as when you smoked cigarettes. Do the math. It’s just time to quit. Love the mint and summer fusion. Not much liquid for such a steep price. I had to go to a cheaper brand. Replaces the vibe for now but hopefully it comes back!